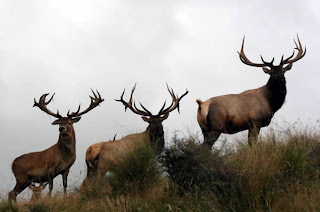 Large, deerlike, the males with large, usually six-pointed antlers that are shed annually; hair on neck long and shaggy; upperparts buffy fawn, the head, neck, legs and belly dull rusty brown to blackish; large rump patch creamy buff to whitish; metatarsal gland oval, about 75 mm long, the center white; tail a mere rudiment. Dental formula: I 0/3, C 1/1, Pm 3/3, M 3/3 X 2 = 34. External measurements average: (males) total length, about 2 m; tail, 160 mm; hind foot, 670 mm. Weight, up to 300 kg, averaging about 275 kg. Females are smaller and usually without antlers. Formerly present only in the Guadalupe Mountains (Culberson County) but presently, free-ranging elk exist in Texas in five small herds in the Guadalupe Mountains, Glass Mountains (Brewster County), Wylie Mountains (Culberson County), Davis Mountains (Jeff Davis County), and Eagle Mountains (Hudspeth County). Others are kept in deer-proof pastures on scattered ranches over the state. Total statewide population in 1984 was estimated to be 1,600. Elk formerly inhabited the plains region of the western United States in winter and open, forested areas in summer. They migrated from one to the other seasonally. 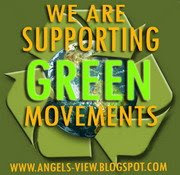 Now, they are forced by land-use practices into yearlong use of the mountainous regions. Lack of adequate winter range is one of the big obstacles to the increase or even maintenance of elk on much of their former range. 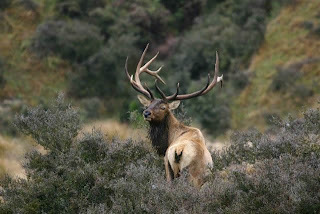 Elk are gregarious at all seasons, but in spring and summer the old bulls usually are solitary or in bachelor herds. Except during the period of rut, the herd invariably is in charge of a cow and it is she who leads them to water, to the feeding grounds, and so forth. When bedded for the night, for the noonday siesta, or when feeding a sentinel is posted (again a cow) to stand guard and give the alarm if danger threatens. On sensing danger the sentinel or any other cow gives warning by an explosive "bark" that instantly alerts the entire herd. When elk are traveling or feeding, the rear stragglers are usually immature animals. The normal gait of elk is a saunter, but they can trot or gallop, depending upon the mood of the individual. After a really bad scare, the animals may gallop at top speed for a kilometer or so, then stop and reconnoiter; if the alarm has proven serious, the herd may resume flight at a dogtrot, often in single file — a pace that can be maintained for several hours. In spite of their large size, elk are rather agile and can readily jump over fences and corrals as high as 2 m.
Although their senses of sight and hearing are well developed, it seems that elk depend largely upon the sense of smell to detect danger. One can easily stalk them upwind as long as the animals do not scent the stalker. The calls of elk are described as of three kinds: (1) the bark of the cow, usually a danger signal, (2) the bugling of the bull during the period of rut, and (3) the bleating of calves and yearlings. The antlers usually are shed between February 15 and April 15, and new growth starts soon after the old scars are healed. Between the time of shedding and the latter part of August or early September, the adult bull grows a new set of antlers weighing as much as 15-20 kg. During this period, W. B. Sheppard found that animals kept in confinement consumed seven times the ration customarily eaten during other times of the year. The normal number of points per antler in old males is six, very often five, and rarely as many as nine. Elk are both grazers and browsers. Palatability studies in northern Idaho revealed that the "key forage species" on the summer range are willow, maple, broom grass, rye grass, and elk sedge. Serviceberry, mountain ash, and bitter cherry also were heavily utilized browse species. There is limited information about their food habits in Texas. In the Guadalupe Mountains, they feed on mountain mahogany, agaves, and several species of grasses. Bugling, which marks the onset of the breeding season, usually starts in the latter part of August, shortly after the velvet has been shed from the antlers. Breeding activities increase until mid-September and close by November. Not all cows come into heat at the same time. Shortly after bugling starts, the herds break up and bulls collect their harems of five to 15 adult females. Sheppard maintains that the bulls do not actively seek out the cows, but rather the cows gravitate toward the larger, more virile bulls. Usually, the younger, unattached bulls remain near a harem and, although the leader tries to keep them at a distance, he finds it difficult to do so. Adult bulls start into the rut excessively fat, but they usually emerge in poor physical condition. This emaciation is due to the fact that for the 6 week rutting season the larger bulls have little time to eat or even sleep because they are constantly on the alert to ward off the younger bulls. Old bulls do not ordinarily stay with the same harems throughout the breeding period but move from one herd to another. It frequently happens that the larger bulls become so exhausted that they retire from the herd for a time to recuperate. Toward the close of the rutting season the larger bulls desert the cows for good and seek seclusion. The average gestation period of elk is about 81/2 months (249-262 days). The main caving period extends from about the middle of May to the middle of June; the number of young is almost invariably one. At birth the calf is long-legged and reddish-brown in color, with interspersed white spots on the back and sides. The rump patch is poorly defined. For the first few days the calves are rather helpless and, except for the feeding periods, remain hidden beside logs, under bushes, or in other places. When about 2 weeks old they are able to follow the females; soon after that the mother and her young one rejoin the main herd. At the age of 1 month elk calves eat grass and other vegetation, and when 2 or 3 months old they graze regularly with the adults. Weaning evidently does not take place until October or even after the rutting season. 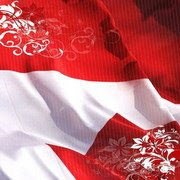 Sexual maturity in females ordinarily is not reached until the second year. Bulls do not enter actively into the rut until they are about 3 years old. Although there are no museum specimens to document their presence, the only native elk in Texas were in the southern part of the Guadalupe Mountains. Those elk belonged to the species Cervus merriami, which became extinct around the turn of the century. In 1928, Judge J. C. Hunter and his associates imported 44 elk (Cervus elaphus) from the Black Hills of North Dakota and released them at McKittrick Canyon in the Guadalupes. They multiplied rapidly and expanded their range to nearly all parts of the mountains. The estimated population size in 1938 was 400. 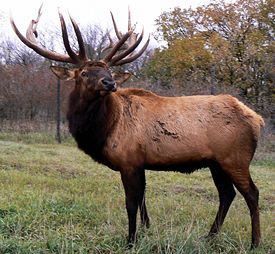 In 1959, elk were added to the list of game that could be hunted, and the population was estimated to number about 300. The most recent estimates place the Guadalupe Mountain herd size at no more than 40 individuals. 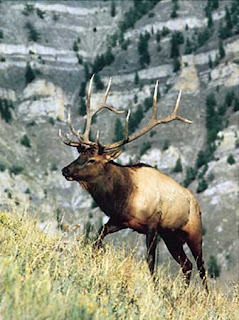 In 1992, the Eagle, Davis, and Wylie Mountain herds each were estimated to number 15-40 individuals, while the Glass Mountain herd numbered 150-180 elk.